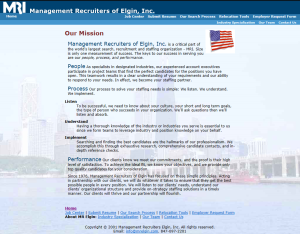 hireneXus (fka Management Recruiters of Elgin, Inc.) was founded in 1976 by Ronald C. Reeves as an independently owned and operated franchise of Management Recruiters International, one of the oldest and largest executive search firms in the world. Pure executive search was in its infancy then; the need for relationship based, direct contact to facilitate outstanding, long term hires was clear. 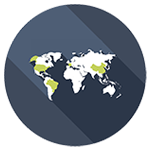 Over the past four decades, we have grown to service clients nationally, and internationally. The executive recruitment industry has gone through massive changes since 1976. From the days of 3×5 inch card files and the first facsimile, to social media and fully relational data bases, we at HireNexus have embraced and mastered the changes. We hold true to the overriding constants in successful executive recruitment: deep industry knowledge and contacts that give us the ability to find the very best candidates for our clients not just the best of what’s “out there”. 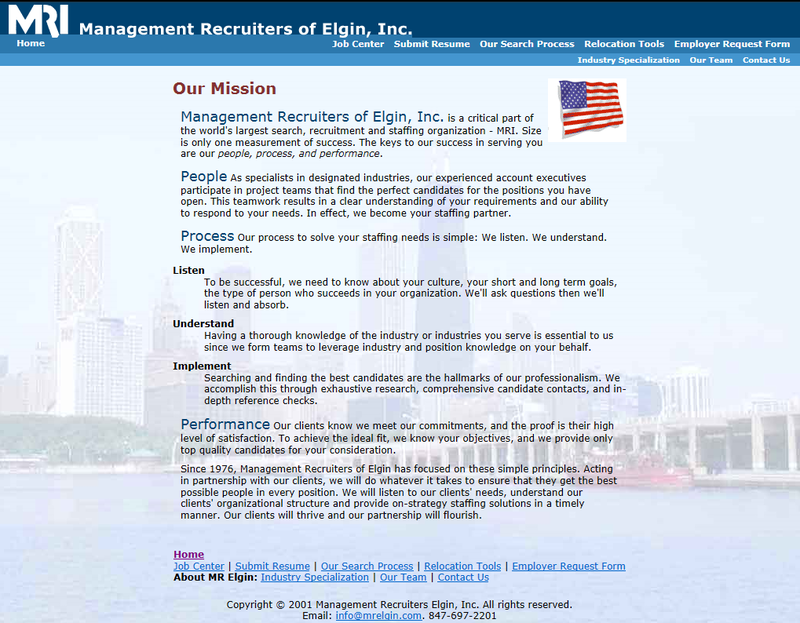 HireNexus was founded Ron Reeves as Management Recruiters of Elgin, a franchise office of Management Recruiters International (MRINetwork), in May of 1976. 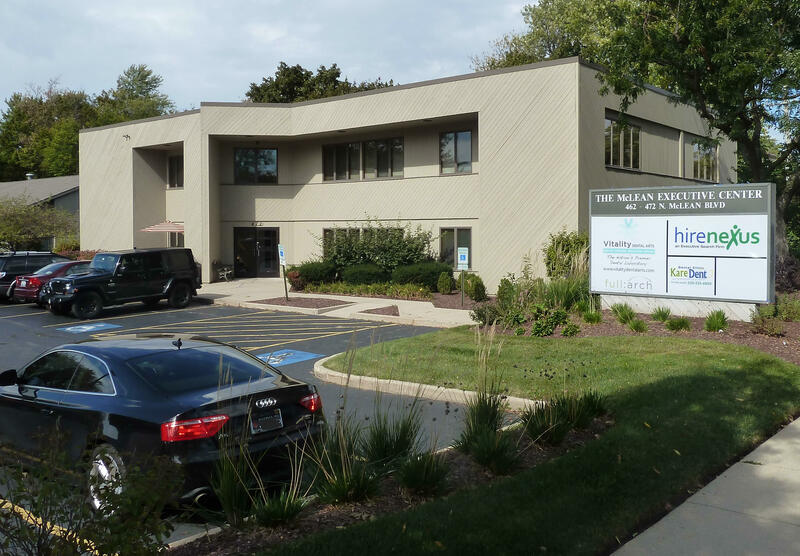 Our first office was located at 707 Davis Road in Elgin, Illinois. We hired our first employee a month later and we made our first placement in the first month we were open. In June of 1979 the office was relocated to a building on Holmes Road, not very far from our original location. Within a few short years we moved back to Davis Road, but this time to a large office overlooking the Jane Addams Memorial Tollway (Interstate 90). hireneXus’ employees attended one of the first MRINetwork video training seminars at a facility in Chicago. This would be the beginning of our commitment to pushing the envelope in recruiting and technology. 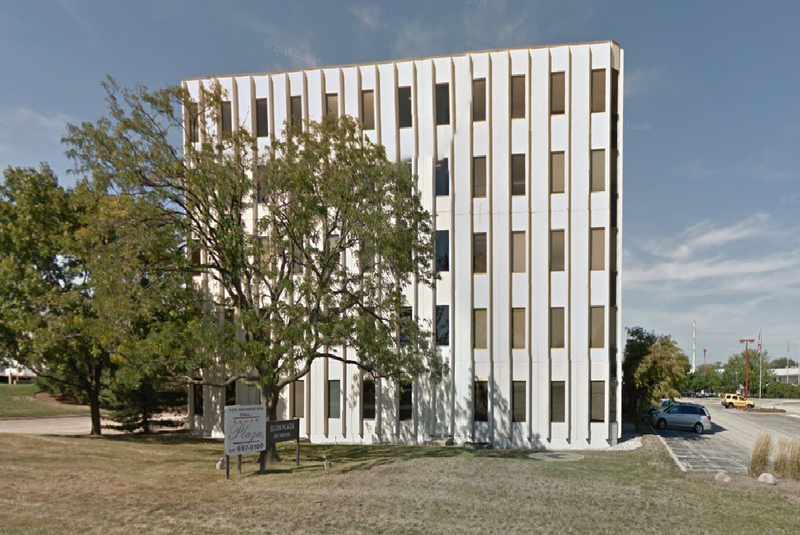 In October of 1987 HireNexus moved to our current location at 472 N. McLean Blvd. Initially, we occupied a small office condo purchased by Ron Reeves. Today, we occupy the entire second floor and most of the first. hireneXus was one of the first five offices in the MRI franchise network to adopt the use of computers based on the proprietary MRIWare. Ron’s leadership vision continued in this vein and since 1989 hireneXus has continued to implement technological innovations in the recruiting world. 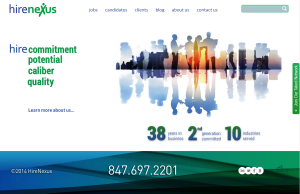 Continuing in our commitment to utilize technology in an effort to advance the service we offer to our clients and candidates, HireNexus became a beta office for CAPS (Consulting And Placement Solutions). In the end, CAPS replaced MRIWare as the preferred contact management software for MRINetwork franchise offices. 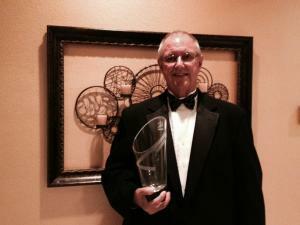 Our founder, Ron Reeves, became a member of the MRINetwork Ring of Honor in May of 1997. The MRINetwork Ring of Honor is an exculsive program recognizing individuals with 25 years or more tenure with the MRINetwork family. Ron began his career with MRI in Milwuakee, Wisconsin in 1972. After many successful years there, he opened his own MRI franchise in Elgin, Illinois in 1976. 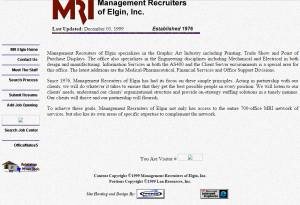 November of 1998 saw the launch of our very first website at http://www.mrelgin.com. At the time, the internet was in it’s infancy and not every business, much less household, even had a dial-up internet connection. This website lasted a little less than 3 years before being completely redone in a modern (for the time) design. hireneXus has achieved MRINetwork President’s Club status every year since 1998. Mike Reeves, our current President & CEO, officially joined the HireNexus team on August 17, 2000 as an Account Executive. Initially, Mike focused on Accounting & Finance recruiting exclusively in the Chicago area. 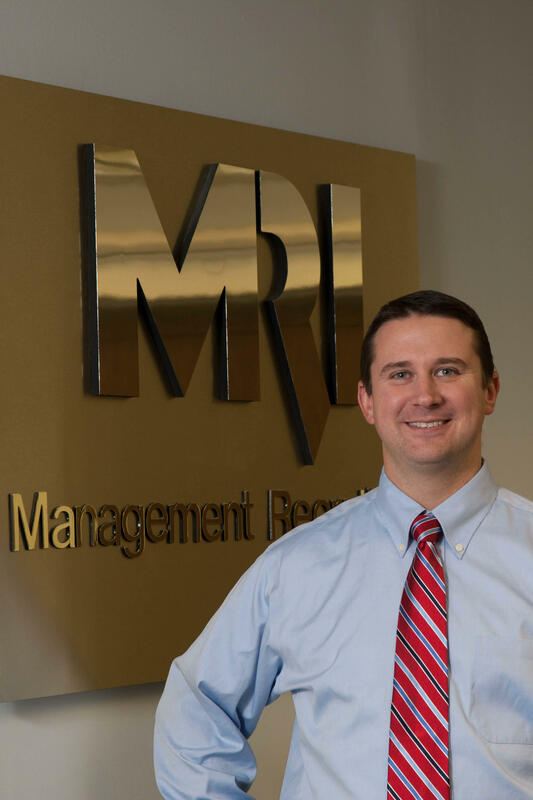 Within a year or so, Mike shifted his focus into Commercial Finance and Equipment Leasing and became a President’s Club winner back to back every year until he purchased the company in 2007. With the internet growing in popularity and website design features becoming more advanced, Ron’s vision led to the launch of version 2 of our website. At the time, this website was extremely advanced and even featured a flash-based animation on the landing page. 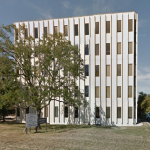 Our founder, Ron Reeves, purchased two of the three remaining office suites in our current building which ensured the future growth of HireNexus. Keeping with our commitment to pushing the envelope in technology, we launched version 3 of our website in January of 2005. This version of our website went in a completely different direction with a streamlined, simple design layout. 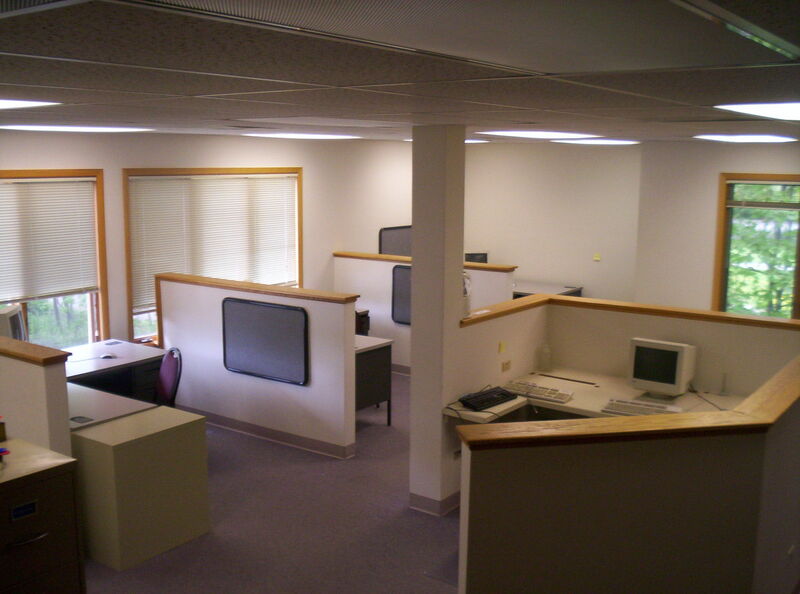 The smaller 2nd floor suite in 2004, shortly before we moved in. HireNexus moved all of its staff and office property into the smaller of the two suites on the second floor of our building. 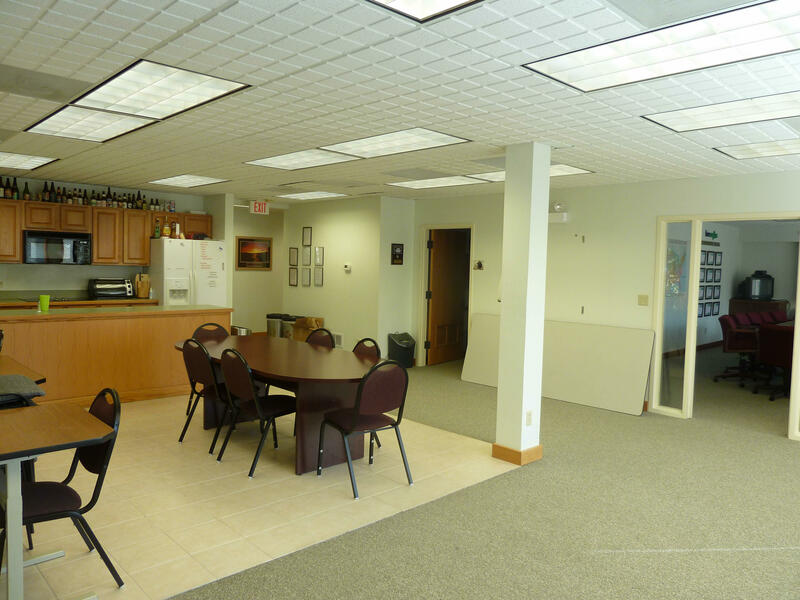 While it was close quarters for a year or so, the end result was a beautifully remodeled office suite with an open layout and brand new furniture. In 2007 the smaller suite was also completely remodeled and when it was completed, HireNexus occupied the entire second floor of the building. The larger 2nd floor suite shortly after the remodel was completed and we moved back in. 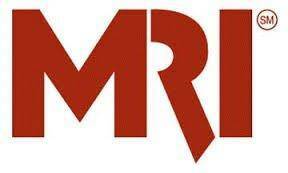 On September 28, 2005, Management Recruiters International (MRI) officially announced that it would be rebranding as MRINetwork. This rebranding came with completely new colors, logos, technology and version 4 of our website–the most advanced to date. It officially went live a few days after the rebranding announcement on October 3, 2005. 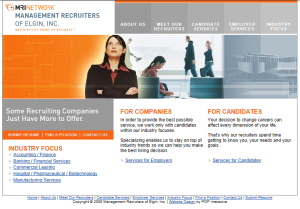 Version 4 of our website would later be the first version to integrate with PCRecruiter’s applicant tracking system which allowed us to automate the process of adding applicants into our database. 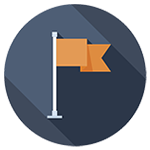 After a 9 month implementation process, hireneXus took another leap in technology to one of the best applicant tracking systems in the world, PCRecruiter. 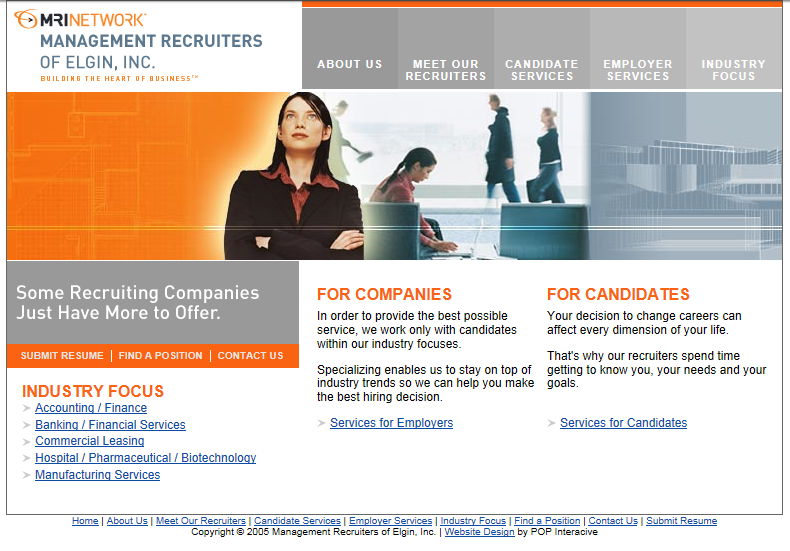 On January 3, 2006 we went live with the implementation which helped our recruiters become more efficient and effective in creating solutions for our clients and communicating with our candidates. The vision of our management led hireneXus to become a Top 50 MRI franchise in 2006 and every year thereafter. On January 1st of 2007, HireNexus officially changed management and ownership. 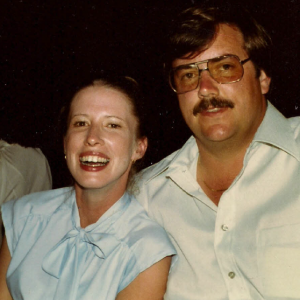 Mike purchased the company from his father and succeeded him as President & CEO of HireNexus. Ron Reeves took a step back from the day-to-day management of the firm and continued to work for HireNexus for about a year to help in the management transition. 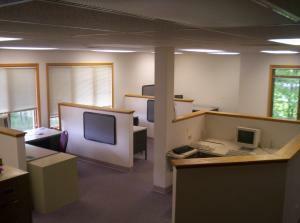 The smaller 2nd floor suite in 2004, before being completely remodeled. 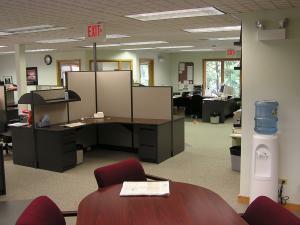 The remodel of the second floor of our building was completed in 2007. Once we moved back into the larger suite of the office in late 2005, the smaller suite was used for storage until remodeling began in early 2007. When construction was completed, the entire 2nd floor was one large office suite with room for 20 recruiters and the smaller suite now contains our large, technologically advanced conference room, a full kitchen and eating area and a temperature-controlled room for our technology assets. The smaller 2nd floor suite as it looks today, looking in the direction the old picture was taken from. 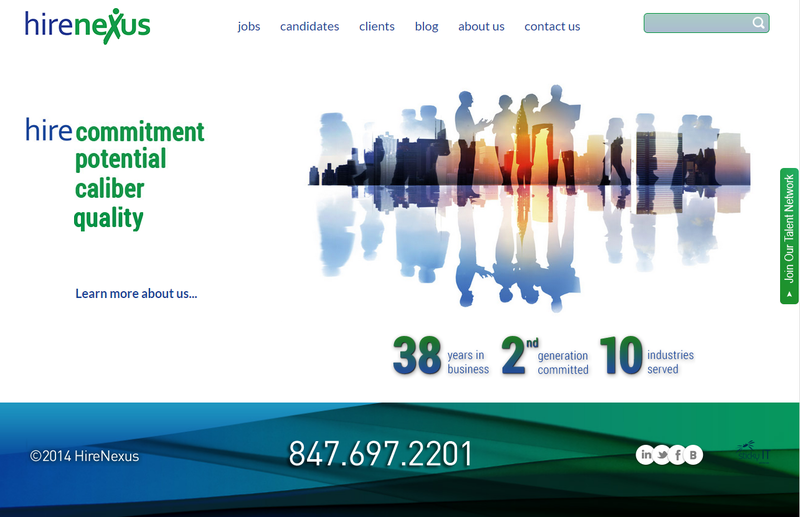 Stacy Reeves started her career with HireNexus in June of 1998 primarily doing data entry. June 2008 marks her 10 year anniversary with HireNexus. Today she is our Vice President of Human Resources and is in charge of all HR functions within the firm including benefits, compensation and payroll. Our founder, Ron Reeves, officially retired after 33 years with HireNexus in May of 2009. His retirement party was held on May 29, 2009 at the Elgin Country Club. The Reeves family at Ron’s retirement party. He and his wife, Lynn, now reside in South Carolina. 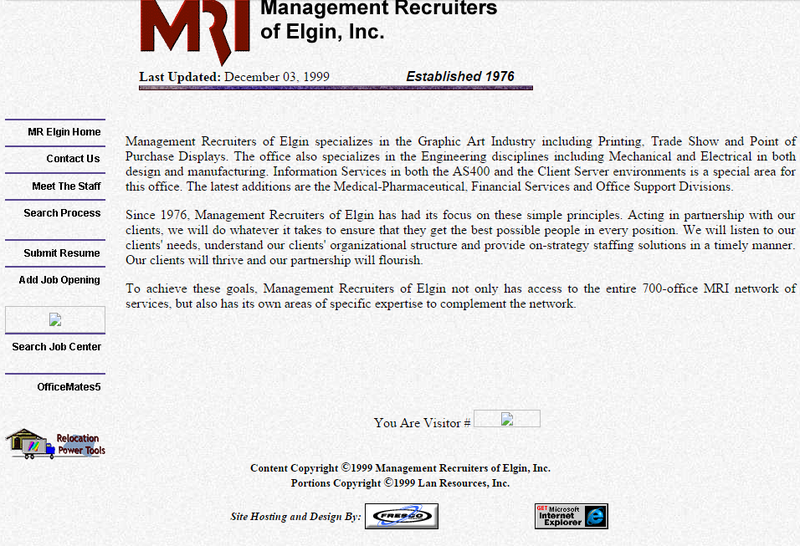 Bart Daly joined Management Recruiters of Elgin in 1985 and from 1987 until his retirement he specialized in manufacturing that is both design driven and custom. The industries he worked in were Point of Purchase Displays, Trade Shows and Store Fixture manufacturing. 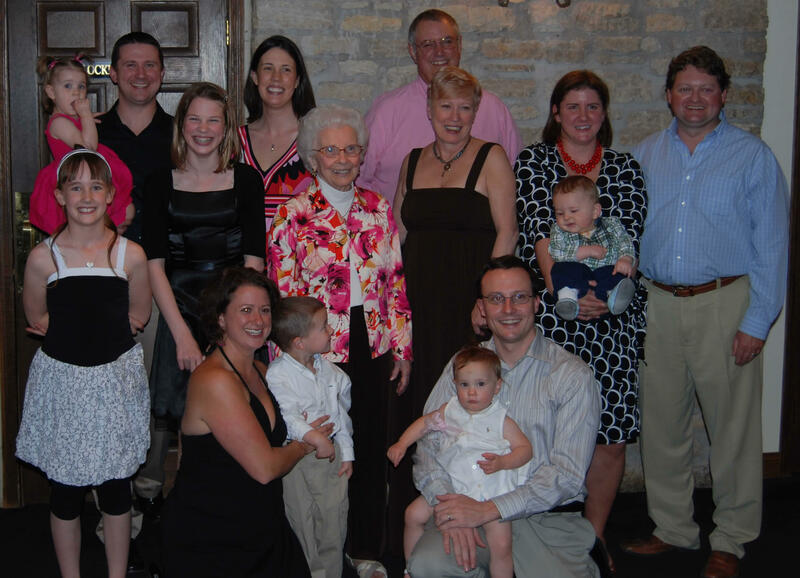 Before joining our firm, Bart was with a restaurant division of General Mills for 12 years as a manager and area supervisor. He has a Bachelors Degree in American Literature from Purdue University. Bart officially retired from HireNexus on September 30, 2009 after nearly 25 years. August of 2010 marks the 10 year anniversary for Mike Reeves, our President & CEO. Mike joined Management Recruiters of Elgin, now known as HireNexus, in August of 2000. 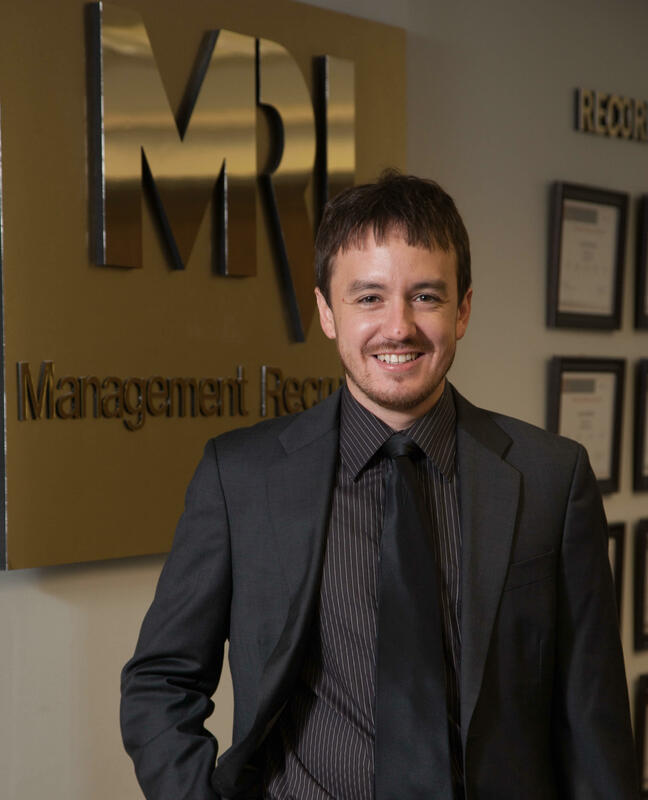 He uses his drive for success to provide unparalleled service to both his clients and candidates. When he started with our firm, Mike specialized in the Accounting & Finance industry. Prior to joining HireNexus, Mike worked with Experian Information Solutions (formerly TRW). At Experian, Mike achieved record sales in two years, developing a new territory that produces over one million dollars annually. He has a B.A. in Business Communications from Eastern Illinois University. Today, as President & CEO, Mike is responsible for the overall strategic direction of the firm, recruiting leadership and furthering the vision and mission of HireNexus. Eric Grossmann is our Vice President of Research and began his career with HireNexus in April of 2001 as the front desk administrative assistant. Within a couple years he was promoted to Office Manager and in 2007 completely switched roles within the firm and became a Project Coordinator. As a Project Coordinator, Eric focused on recruiting candidates in Commercial Finance & Equipment Leasing. In January 2009 he transitioned into a role managing our outsourced research team while still functioning as a Project Coordinator. When our firm opened the office in India, Eric became our VP of Research and is now in charge of all of our research operations and back office support. We officially launched the 5th version of our website in the late afternoon on Friday, July 8, 2011. This website was a complete shift in direction on the overall look and feel of our website. This version of our website also utilized more advanced website technology and allowed us to easily update and manage the content within the website. 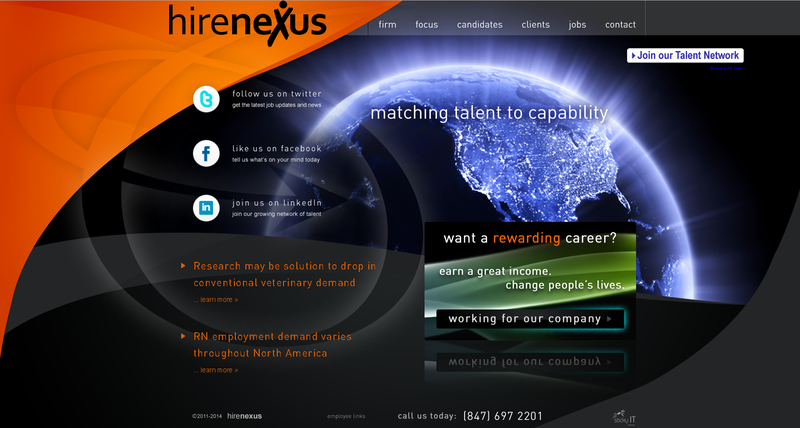 June of 2012 marks a major milestone in the history of HireNexus. 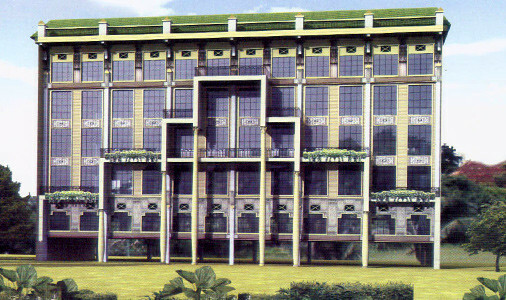 On June 1, 2012 we officially opened a second office in Mumbai, India in an effort to enhance the service we provide to our clients. 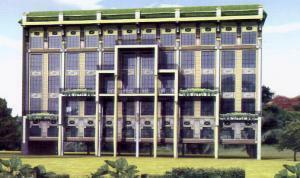 The office is located on the top floor of an office building in the beautiful Royal Palms Estate. Our office in India is the research center of HireNexus with nearly a dozen well-trained, skilled Research Associates that are experts in candidate sourcing, lead generation, data entry and internet research. 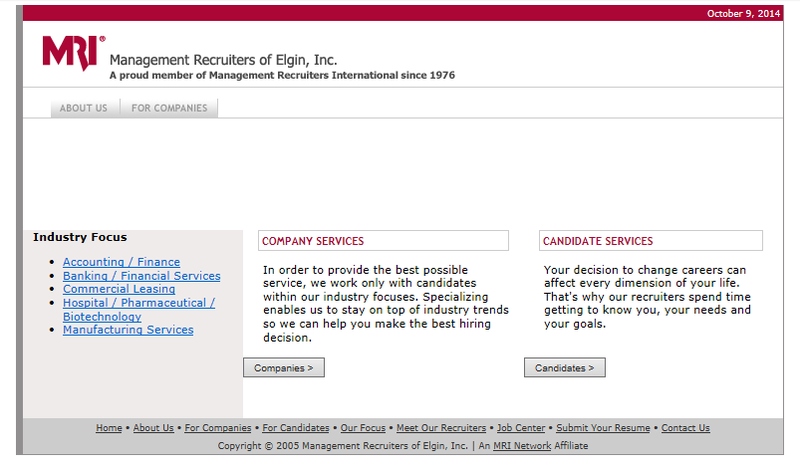 After nearly four decades, Management Recruiters of Elgin officially rebranded as hireneXus on January 1, 2014. We continue to be a part of MRINetwork. What started as a small, 3-person office in June of 2012 grew into a very successful research operation with 10+ employees in a small, 400 square foot office studio. On October 1, 2014 we moved our office in India to a brand new office suite more than twice the size with the capacity to comfortably hold over 20 employees. This new office provides a better work environment for our employees and is in a more centralized, urban location. On Friday, October 10, 2014 we launched version 6 of our website. This is the first website designed specifically to our new branding. In addition, this is the first website we have had that is responsive to mobile devices and tablets. One of the new features of this site is our blog. The HireNexus Blog is the primary location of our fluid content and gives us the ability to simplify the information found in the other areas of our site. Our recruiters will regularly post blogs on numerous topics including candidate tips and information relevant to clients. 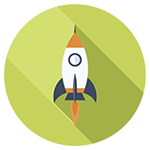 hireneXus had a record-breaking quarter in Quarter 1 of 2015 and a record-breaking month in March 2015. To celebrate, the entire hireneXus team spent a weekend in Lake Geneva. 2015 was the best year ever for hireneXus and to celebrate the entire team had dinner in downtown Chicago and stayed the night at the Four Seasons Chicago hotel. We continually strive to stay on top of technology and nothing shows this more than the fact that we’ve had a continual web presence for nearly 20 years. On this date we launched version 7 of our website. 2016 was a back-to-back record year for hireneXus. To thank the team for all of their hard work and dedication, we spent a weekend in early January 2017 in Milwaukee to celebrate this achievement. Nate Skow and Bud Harrison are named by MRINetwork as Top Account Executives of the Midwest Region. Nate is the Top Team AE of the Year – Midwest Region for 2016 and Bud is the #3 Team AE of the Year – Midwest Region for 2016.